Edward Musgrove had been in the backcountry long enough to experience the brutality of frontier warfare, being involved in the Cherokee Wars and the Regulator Movement. Although he had hoped to live in peace, his home would draw the attention of the British and pull his family into the war. Excerpt from a 1775 letter from Edward Musgrove to William Henry Drayton signifying his neutrality. These ruins are all that remain of what may have once been the home of Edward Musgrove. A prosperous and influential settler of the Carolina backcountry, Edward acquired this land by 1774. It was on this site that Edward built a typical plantation, with a dwelling house and various other outbuildings. After the major American defeat to the southeast at Camden, SC on August 16, 1780, southern Patriots needed a morale boost. It would come just two days later at the Battle of Musgrove Mill. 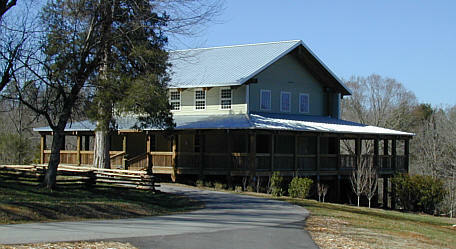 Colonel Isaac Shelby, with a Patriot army of about 200 men, was sent to Musgrove Mill to break-up a British campsite there. When he arrived, he found that he was greatly outnumbered facing about 500 British regulars and Loyalist militiamen. To attack the camp would have been suicide. Illustration courtesy of the National Park Service, Harpers Ferry Center Commissioned Art Collection. Even though Edward Musgrove chose to stay neutral in the Revolutionary War, his property was desirable real estate for the British. The ford across the Enoree River could provide a known crossing, the gristmill on the property could provide food for hungry soldiers, and its location provided a convenient and recognizable gathering place for the British. In an effort to gain control of communication and transportation throughout the backcountry, the British took control of the ford and the mill, setting up camp around Edward’s home. As early as August 8, 1780, the British were sending their wounded to the home of Edward Musgrove, and by August 10th, a camp had been established there. Scenes like these tents (above) would have been covering the grounds around the home of Edward Musgrove on the morning of the battle. Instead Shelby devised a scheme to lead the British into an ambush. He divided his army into three commands. On the right wing, he chose Lieutenant Colonel Elijah Clark and his Patriot militia from Georgia. At the center, he chose Lieutenant Colonel James Williams (who was buried in Gaffney, SC after he became a casualty at Kings Mountain — both previous sites on this road trip). Shelby chose himself to lead the left wing. 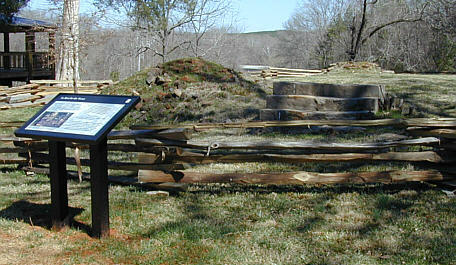 To draw the British into the ambush, Captain Shadrick Inman, also from Georgia, and sixteen sharpshooters advanced on the British camp and started shooting. The British responded, formed ranks and followed Inman and his men into the ambush where they received deadly fire at point-blank range. The British retreated and regrouped for another attack. During the second attack, their commander was killed by a Patriot sharpshooter and the British made a final retreat leaving behind over 200 casualties. There were only about 10 Patriot casualties, one of which, however, was Captain Shadrick Inman, who was killed during the final pursuit. 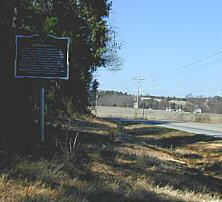 Coming as it did immediately after the defeat at Camden, Musgrove Mill relit the rebellion's fire, even though Thomas Sumter's command suffered a humiliating defeat by Tarleton's Legion at Fishing Creek the same day. Rosemont -- The marker on US 221 denotes the efforts of Ann Pamela Cunningham to restore Mount Vernon, the Revolutionary War home of George Washington on the Potomac River in Virginia. About 2 1/2 miles southwest, a granite monument stands on the site of Rosemont, birthplace and home of Ann Pamela Cunningham, founder and first regent of the Mount Vernon Ladies’ Association of the Union. Through her efforts Mount Vernon was purchased by the association in 1858, and Washington’s home was restored and maintained for posterity. Erected by Ann Pamela Cunningham Chapter Daughters of the American Revolution.